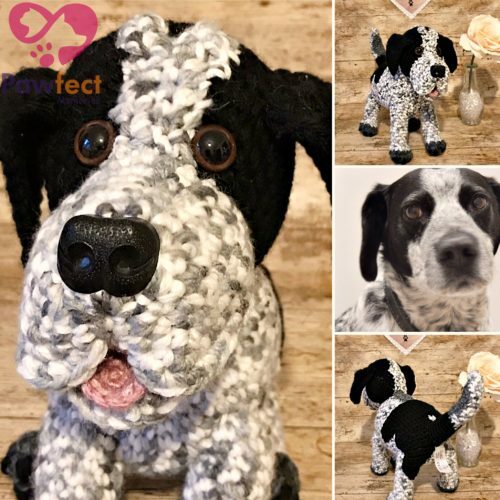 Have a beautiful version of your pets best bit…. their head! 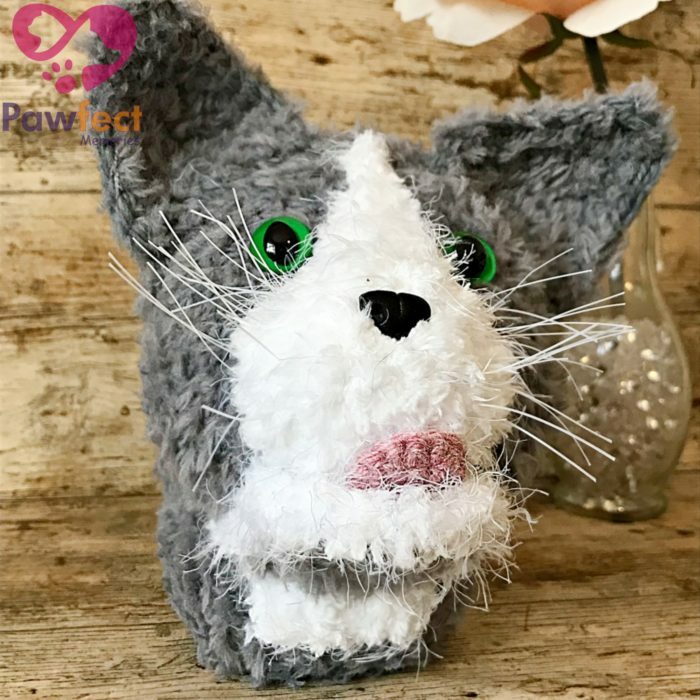 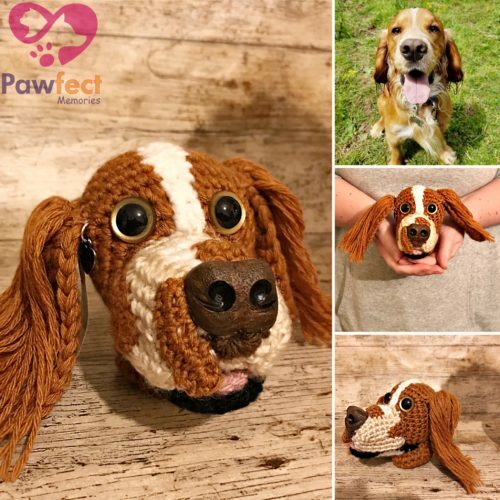 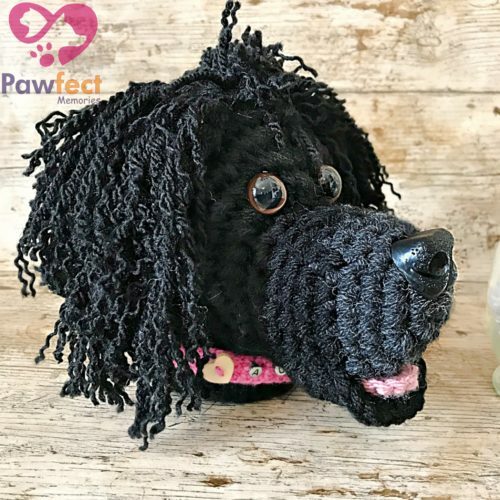 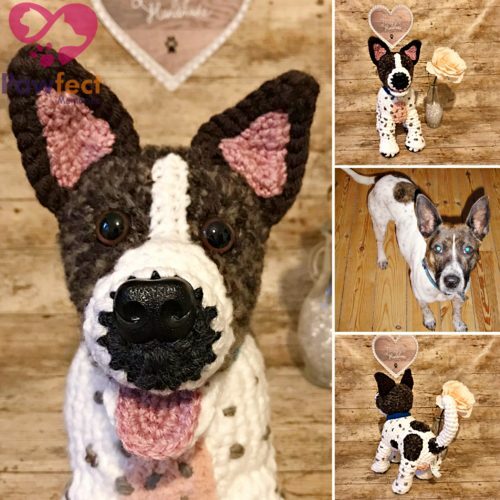 Each lovingly handmade plush head is crafted to the likeness of your beloved pet. OUT OF STOCK FOR CHRISTMAS 2018 DELIVERY. 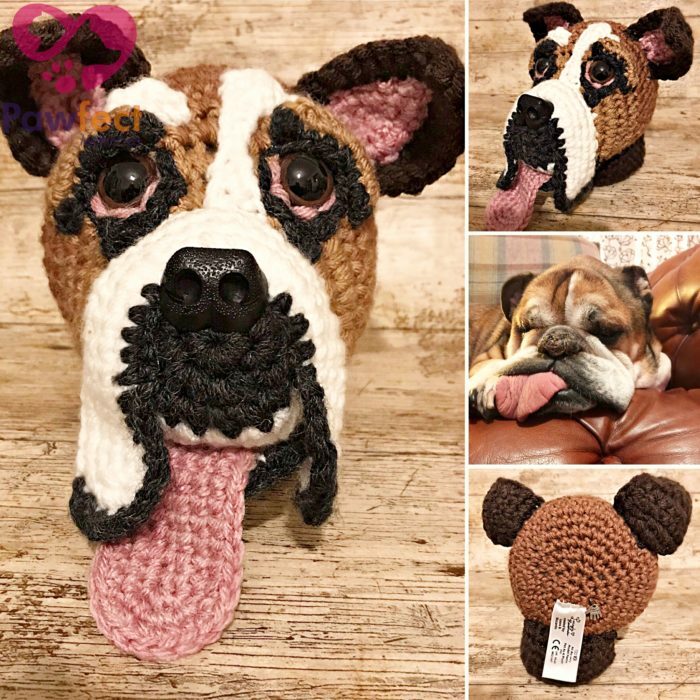 ORDERS PLACED NOW WILL BE DELIVERED IN FEBRUARY 2019 AND YOU WILL BE SENT A GIFT CERTIFICATE TO GIVE AT CHRISTMAS. Add a description of your pet’s head here and any other important details, such as any patches, quirky details or scars. Your pet head will be lovingly handmade from the photos you provide to the likeness of your chosen pet. Each head will be made from the finest quality yarns and materials, specially selected from our vast yarn collection to make a perfect match the colouration and texture of your pet wherever possible. 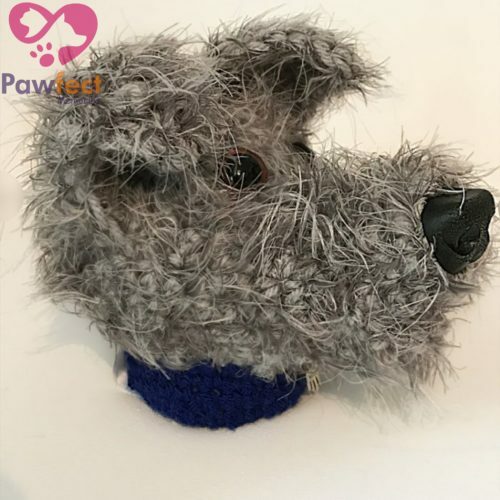 It’ll be the cutest keepsake you’ll ever own!